2. Turn the Oximeter on by popping it on your finger. Project Breathe will search for your device. 3. 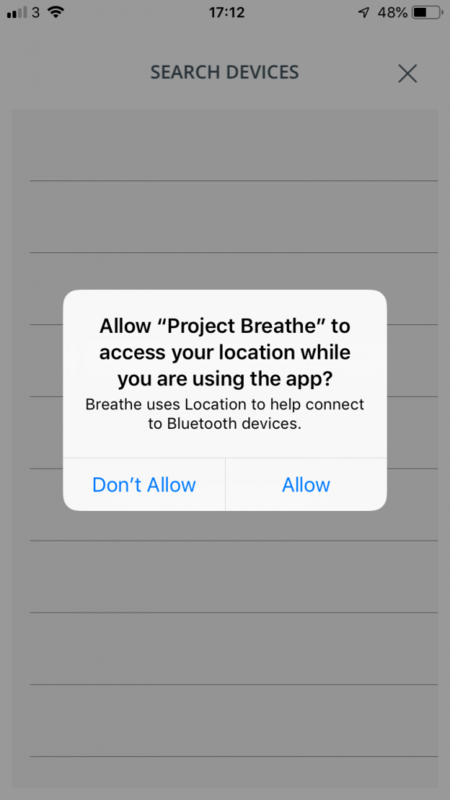 At this point, Project Breathe may ask you for permission to use your location. Don’t worry – no information on your whereabouts is captured or stored, but this permission is required for connecting to certain Bluetooth devices. Tap ‘Allow’ to carry on. 4. 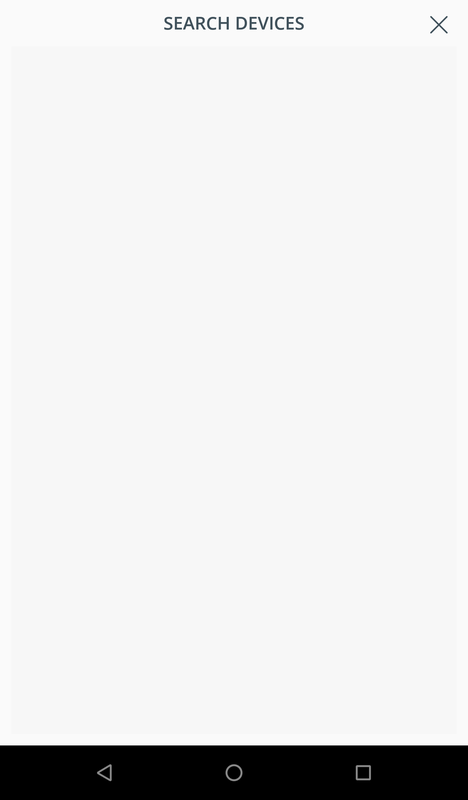 Once an Oximeter has been found, the device name will appear in the list with a name which begins with “Nonin3230_”. Tap the device you want to add. 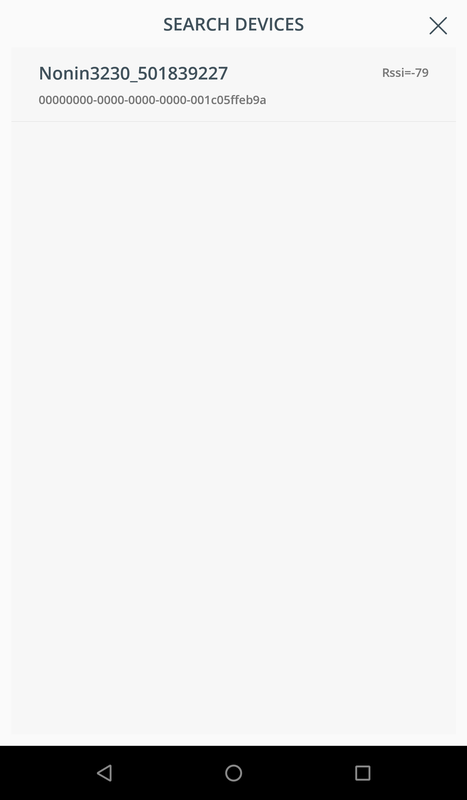 Important: If the device asks to pair with your phone, accept this pairing request. 5. When you return to ‘Settings’ you should see your oximeter device name saved in ‘Oximetry’.